While we were in Prague last week (which, by the way, was even better than I had expected), I was hoping to find some inspiration through traditional needle arts from the area. 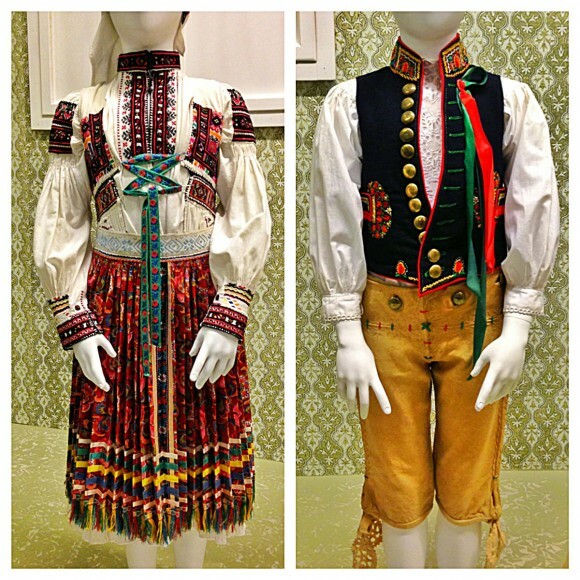 So it was pretty exciting to me when we made a short stop at the National Museum and found two exquisite examples of national costume on display in their exhibit about childhood in the Czech Republic during the reign of Franz Joseph I.
Aren’t they beautiful? 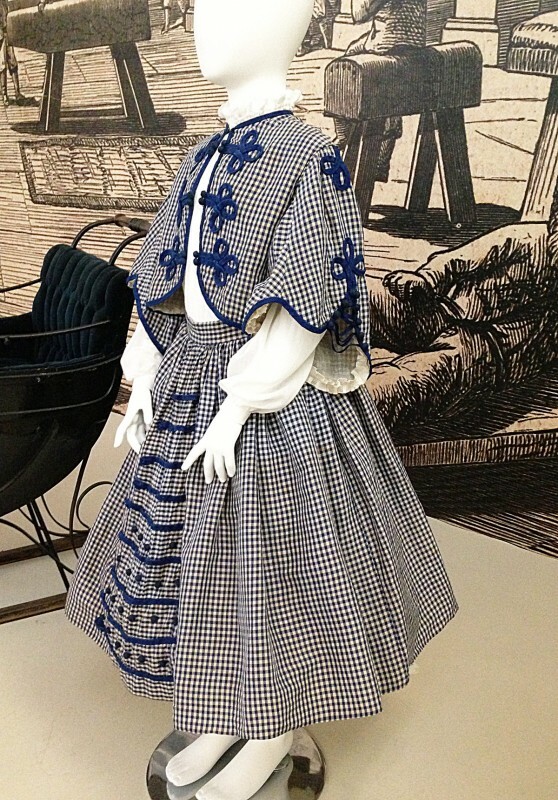 But I think it’s so hard to admire textiles and clothing without being able to touch them! I really wanted to examine each piece to see how it was constructed and to see the lines up close. I like to see the inside just as much as the outside, so I think I was even more excited than S when one room in the exhibit allowed children to dress up in various items of national costume! 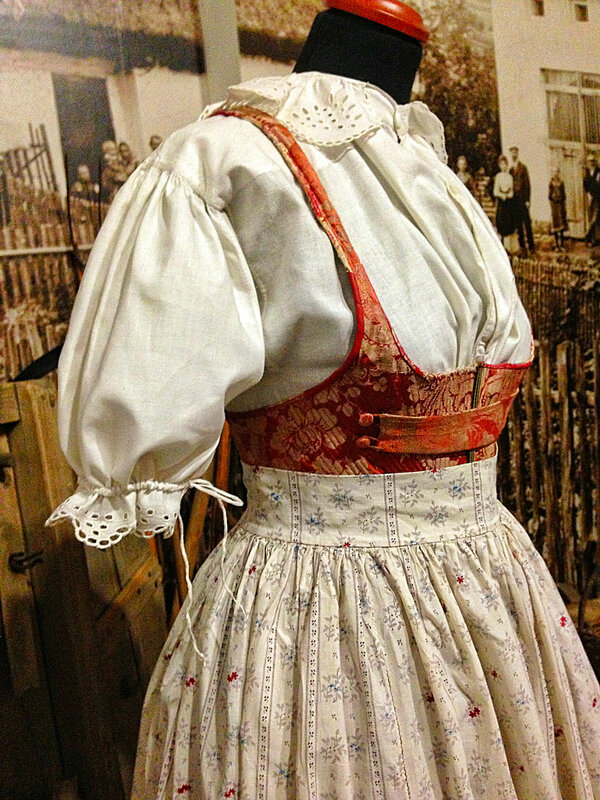 We saw quite a few other examples of traditional clothing at the National Museum that afternoon, too. Here are two of them. But wait until I show you what we found later that day! I’ll save it for tomorrow, just because I have so many photos for you. These photos are incredible! My grandmother was born near Prague and I have my love of textiles and sewing because of the skills she brought with her to the U.S. I send you many greetings from the Czech Republic. 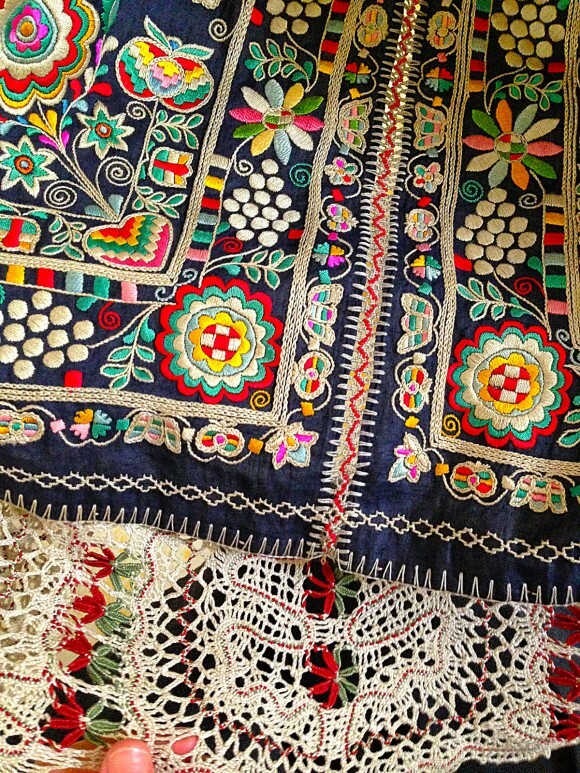 I live in Brno and I like your blog and love your patterns. 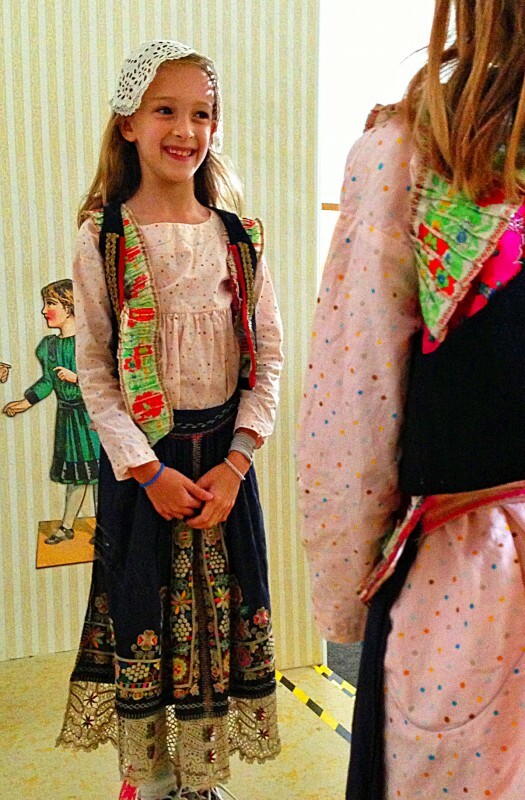 I’m of Croatian descent, and the regional costumes are very similar. My parents each had theirs handed down to them, and I can remember sneaking into their closet as a kid and being in total aw of them. I’d never before touched or seen a garment that was so finely made and had such a beautiful weight to it; they were totally magical. My dad, who is in his seventies, still wears his when he sings in his choir and recently had to have new traditional boots tooled in some town where they’ve been made for hundreds of years. It totally warms my heart that these traditions are still alive in places.